ABOUT "Botanicas de la Villita"
Botanicas (literal translation: "botany stores") can be found in Hispanic and Caribbean communities in cities across the United States. Most botanicas purvey goods and services including herbal and folk medicines, religious items and holistic health advice, while a smaller subset offer spiritual procedures such as cleansing or spell-casting. In Chicago, more than a dozen botanicas can be found operating along or near 26th Street from Kedzie to Kostner in Little Village, the heart of the city's Mexican immigrant community. Brian Ashby's co-directorial debut, Scrappers, won Best Documentary at the 2010 Chicago Underground Film Festival and made Roger Ebert's list of top documentaries for that year. Emmanual Camacho is an instructor at Yollocalli Arts Reach, an initiative of the National Museum of Mexican Art; he recently shot and acted in the narrative feature Maydays (2013 Chicago Latino Film Festival). Gabriela Fernandez is a journalist and travel writer who recently arrived in Chicago after earning her MA in International Development and Cooperation. Akemi Hong is Senior Designer at JB Chicago and an instructor at the School of the Art Institute of Chicago. 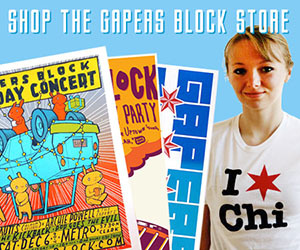 The Grid is a series profiling Chicago businesses, subcultures and landscapes. It is funded in part by the Chicago Instructional Technology Foundation Digital Media Production Fund. 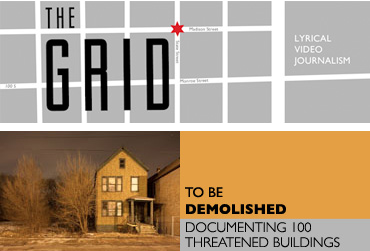 Support The Grid by clicking here and contributing to the Tip Jar. Read more about these lyrical documentaries below. Since 2005, Aloft Loft Circus Arts has provided classes and training space for adult circus performers and enthusiasts. On April 28th, hundreds of Chicagoans demonstrated at Chicago Police Headquarters to protest the death of Freddie Gray. The Chicago Area Drone User Group meets regularly to fly drones and to share knowledge about the hobby's technology and etiquette. Every year the School of the Art Institute of Chicago's MFA graduates participate in an unusually large group show. Arkansas Red DJs "The Blues Excursion" every Saturday night on WHPK, Hyde Park's community and student radio station. Open Gov Hack Night is a weekly meeting to facilitate collaboration on civic projects, and bounce ideas and get help from tech and government experts. 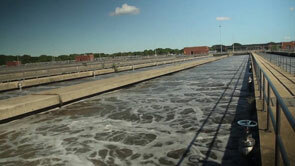 The Stickney Water Reclamation Plant is the largest wastewater treatment plant in the world. Botanicas (literal translation: "botany stores") can be found in Hispanic and Caribbean communities in cities across the United States. Englewood residents are struggling to maintain friendships and traditions while a freight yard is expanding into their neighborhood. The Rev. Henry Isaac has tested his faith as a journeyman window washer since 1974, and shared his faith as a preacher since 1994. 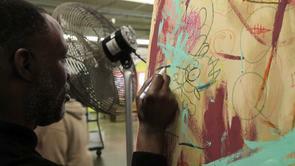 Envision Arts Studio provides Chicagoans with intellectual and developmental disabilities a disciplined studio practice in a community setting. 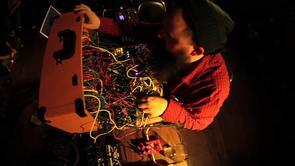 Since 1997, LAMPO has presented experimental music and intermedia events to adventurous Chicago audiences. 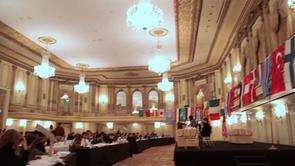 Since 1988, University of Chicago students have organized an annual four-day Model UN conference at the historic Palmer House hotel. An examination of how The Plant -- Chicago's vertical farm and food business incubator -- has been represented in the media. 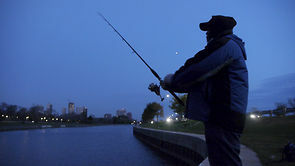 Snagging fish is allowed seasonally in a few spots on Lake Michigan. Move-Tastic!, "Chicago's premiere athletic moving force," wows customers and employs over 40 Chicagoans on their way to careers in other fields. 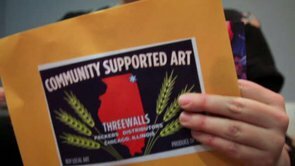 Nonprofit arts organization Threewalls is connecting artists and collectors by adapting a model better known for supporting local farmers. 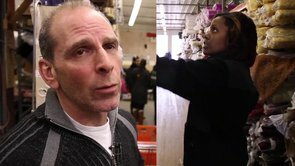 Textile Discount Outlet, located at 2121 w. 21st Street, has helped sustain Chicago's creative classes with discounted fabrics and inspiration for over 30 years. 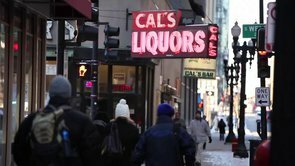 The Congress Parkway congestion is meditated upon at nearby Cal's Liquors/Bar, where astromusicologists El is a Sound of Joy take cinematic cues from traffic conductors. 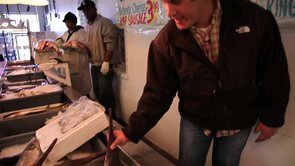 Market Fisheries, located at 7129 S. State Street, has been owned and operated by the Brody Family since 1957. The Grid is a series profiling Chicago businesses, subcultures and landscapes. These short, lyrical documentaries aspire to be art cinema, ethnographies and experiments in form. 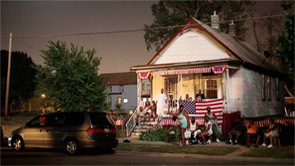 Ben Kolak and Brian Ashby's directorial debut, Scrappers, won Best Documentary at the 2010 Chicago Underground Film Festival and made Roger Ebert's top 10 list of documentary films for that year. 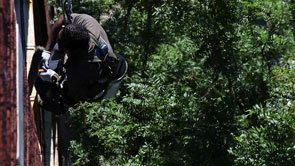 David Nagel is a freelance shooter, editor and sound recordist. Akemi Hong is Senior Designer at JB Chicago and an instructor at the School of the Art Institute of Chicago.